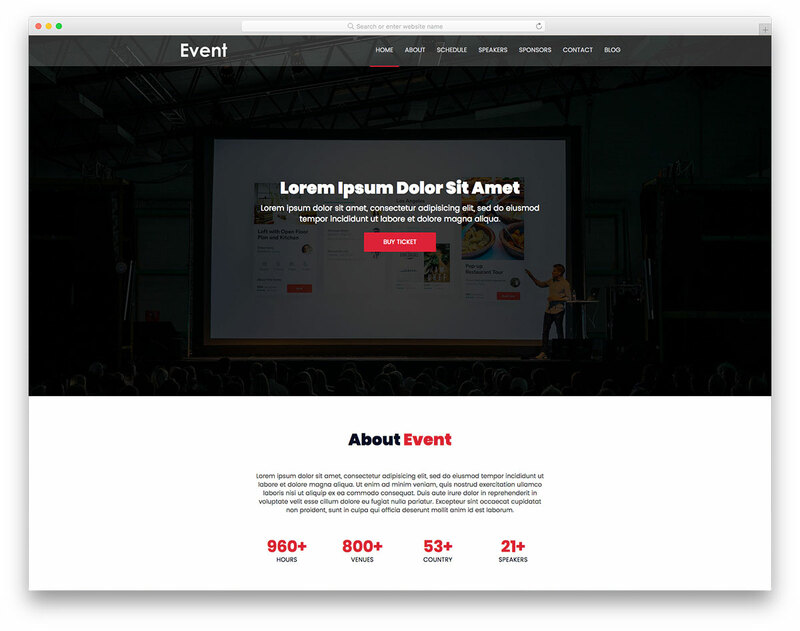 Eventalk is the best free event planning website template which you can use for an assortment of different intentions. 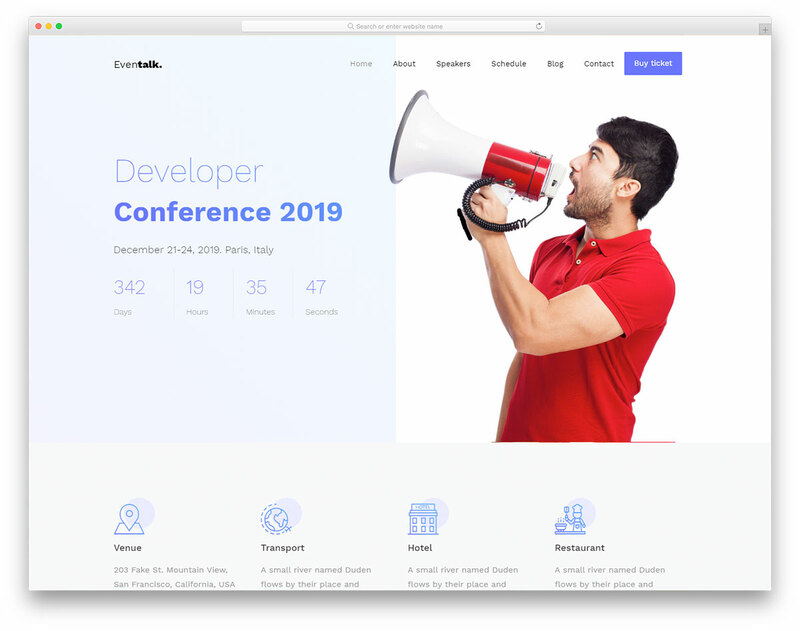 With its clean, minimal and premium-like web design, Eventalk easily adjusts to various events, conferences, forums and meetups you plan to host in your local area. 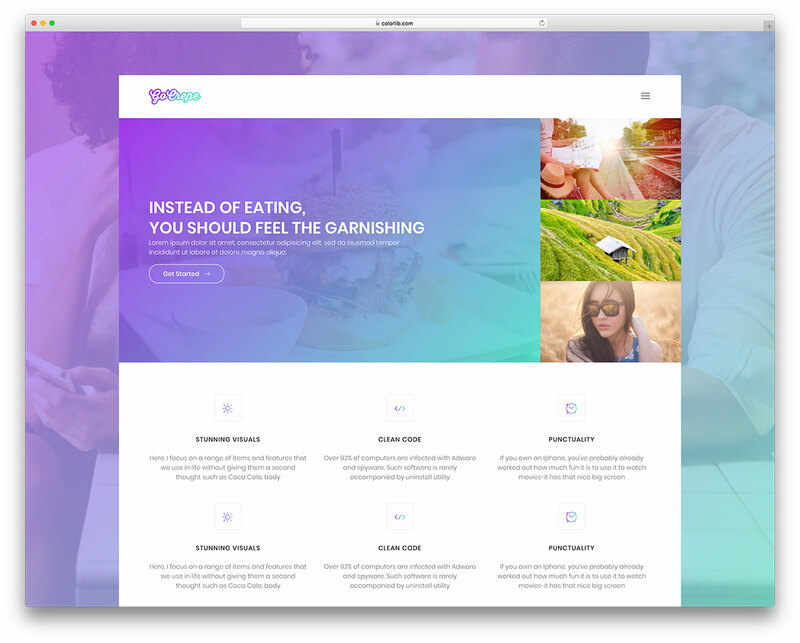 Incorporate your branding and other requirements into the layout and make Eventalk turn into a spectacular and fully functional website. 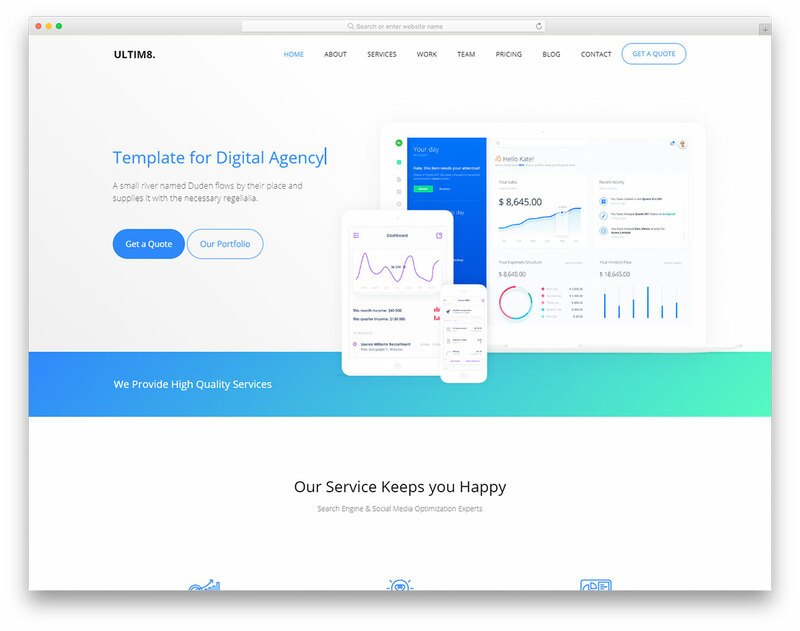 The template is packed with many great features, as well as easy to use, modify and maintain. 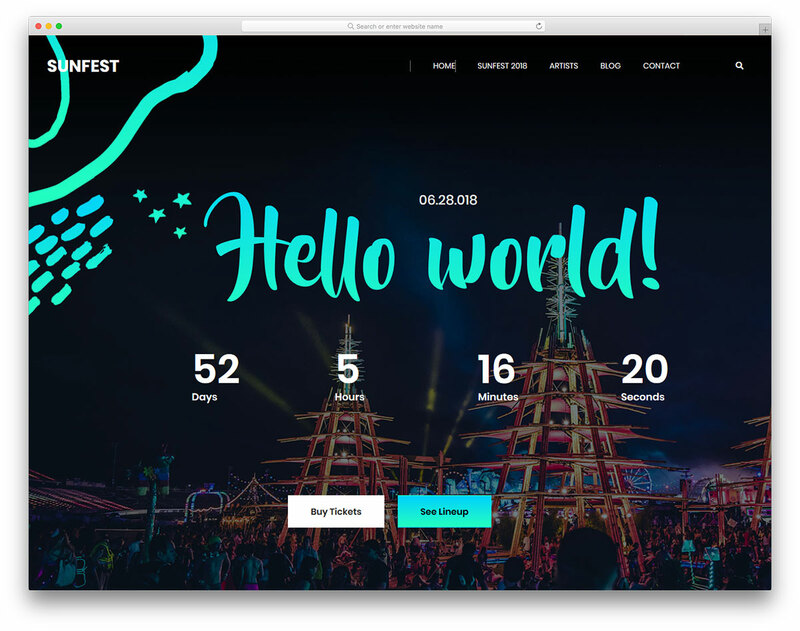 Some of the core traits of Eventalk are Bootstrap Framework, countdown timer, parallax effect, on scroll content load and impressive event schedule. 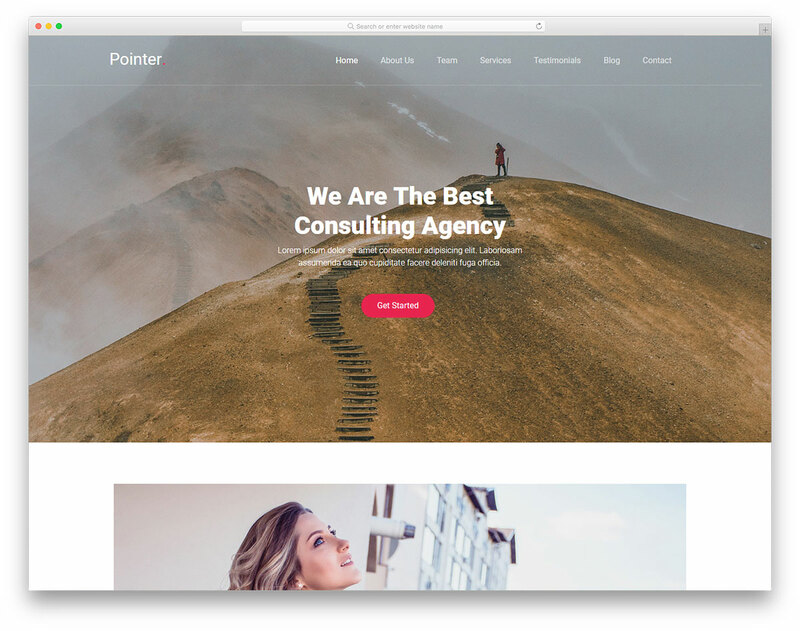 Display testimonials with a slider, showcase pricing, capture their emails with a newsletter subscription form and even start a blog. 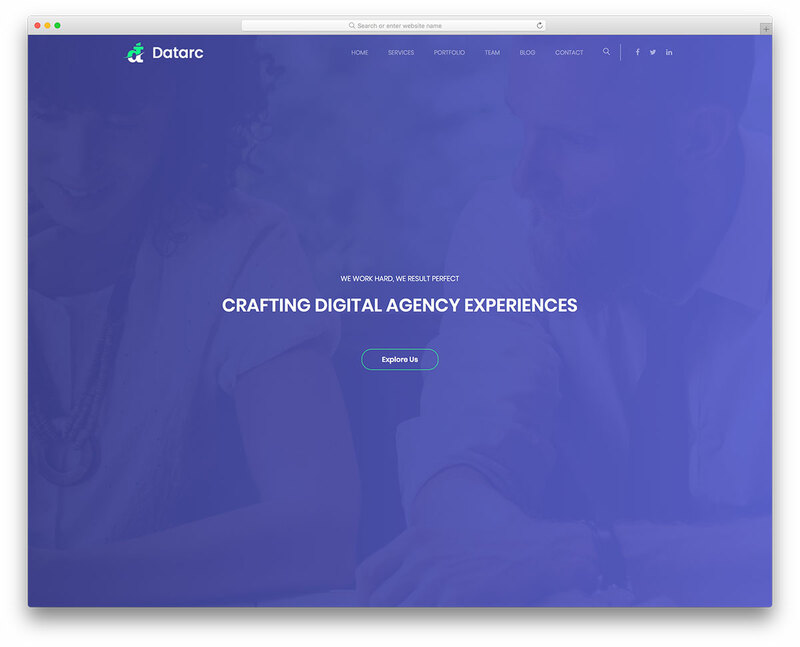 The latter, you can utilize to announce news and updates and to incorporate content marketing. There is a ton you can achieve with Eventalk so enter the industry with a bang.